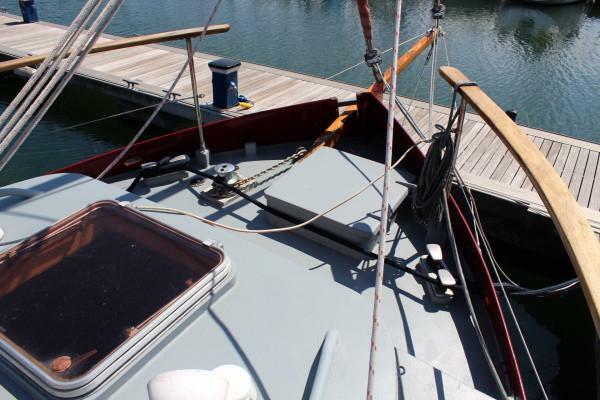 1994 Heavily built lift keel steel gaff rigged cutter. 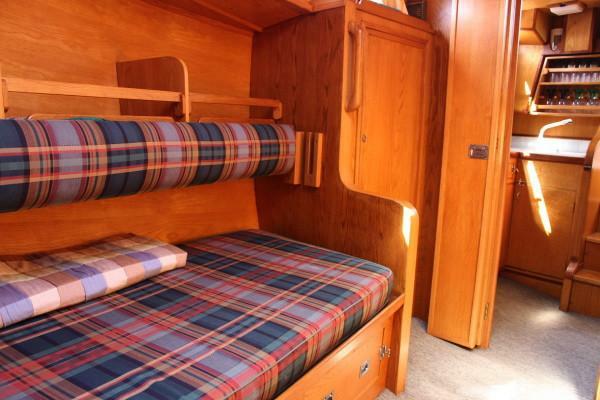 Built in the UK by Peter Nicholls Steel Yachts to a Tony Tucker design. 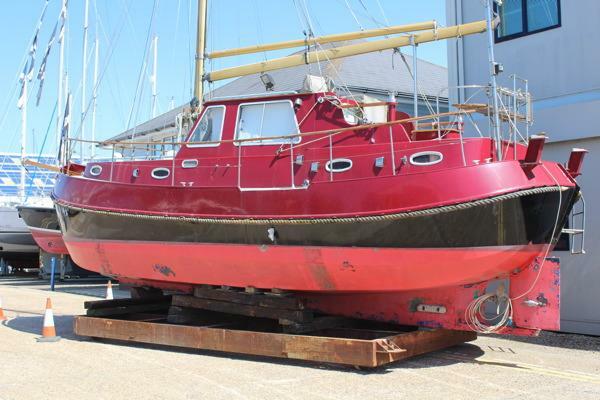 Ideal for coastal and European inland waterways. 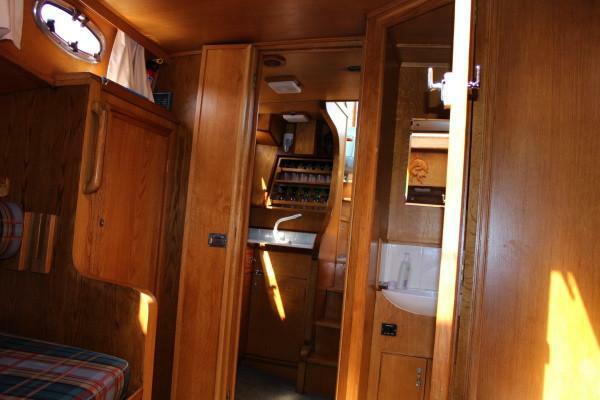 Very comfortable cruising yacht with shallow draft, would be a perfect liveaboard for two. 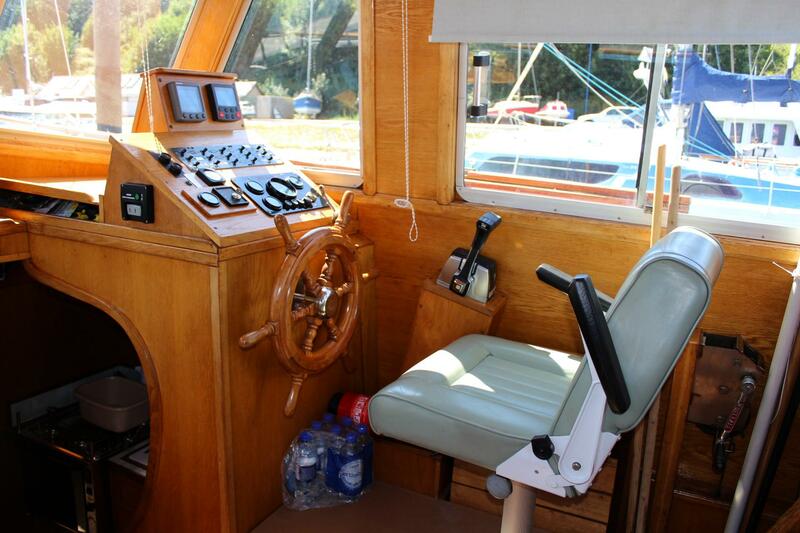 Includes dual steering positions, enclosed wheelhouse, generator, heating, plotter, radar, bow thruster. 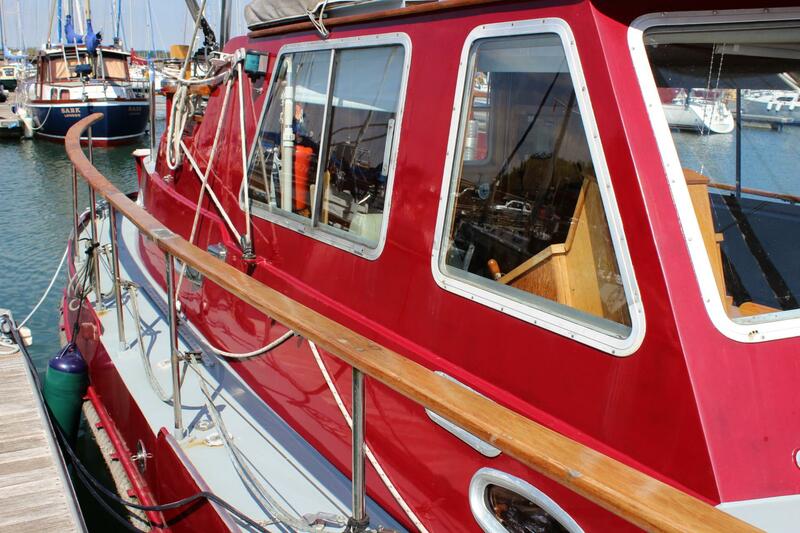 Hull and superstructure re-sprayed in 2015. 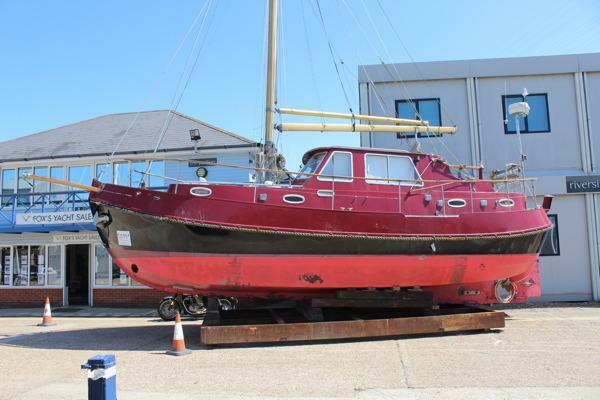 The owner would consider an offer on the price and possibly a part exchange. 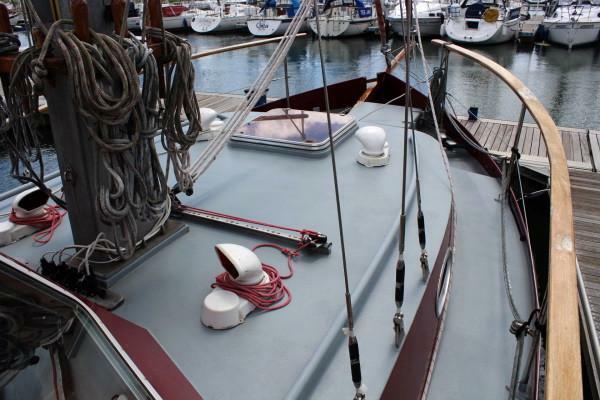 Black chined 6mm steel hull with rope fendering and bowsprit. 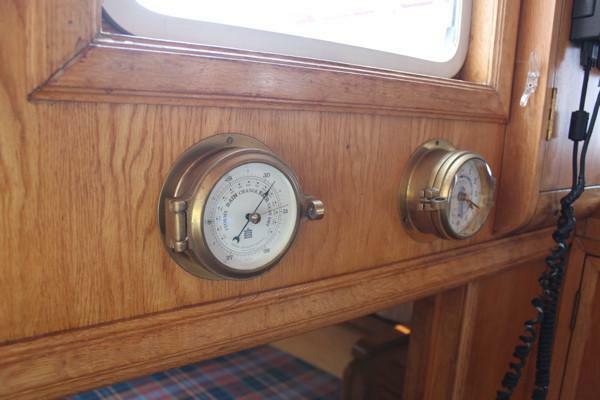 Dual station ignition and single lever controls. 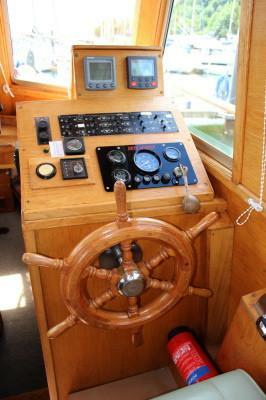 Vetus bowthruster – dual controls – dedicated batteries. 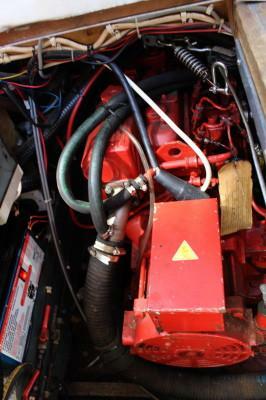 12 volt system – 3 x domestic, 1 x engine start engine batteries. 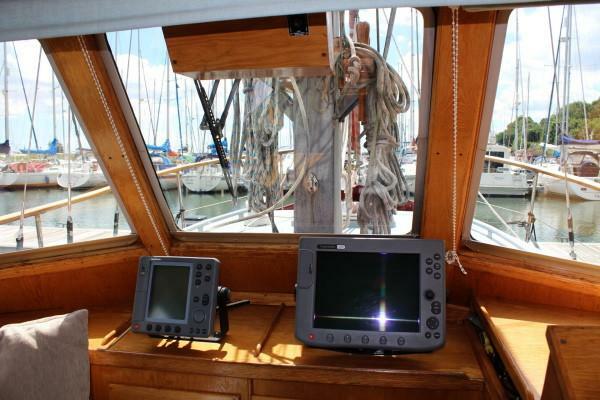 Interior lighting & navigation lights. 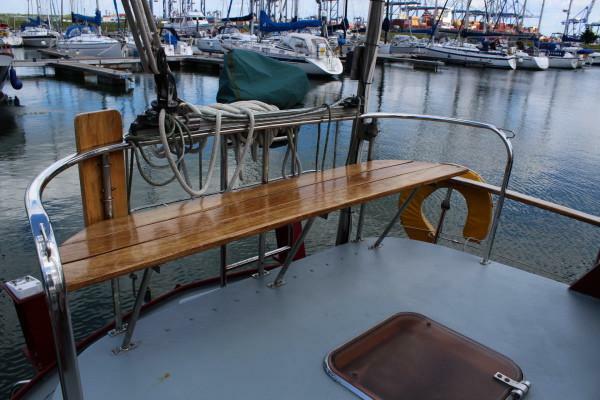 Sailspar gold anodised mast, boom & gaff. 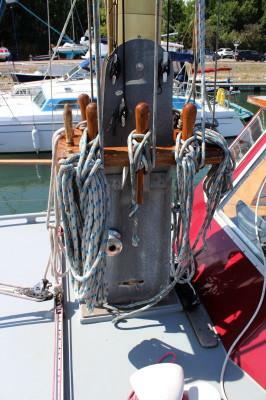 Slab reefing boom with Lazyjacks and s/s boom crutch. 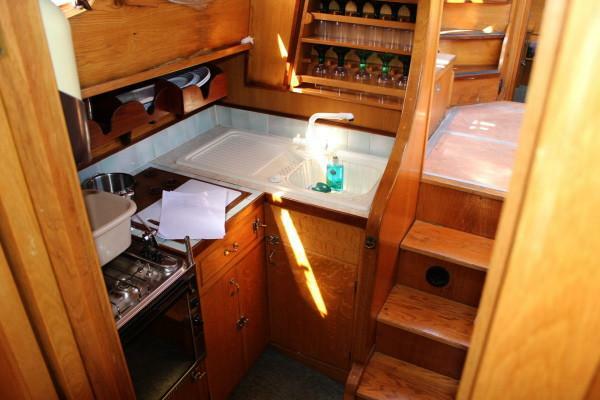 Spacious layout with 4 berths, 2 heads, enclosed wheelhouse and well equipped galley. 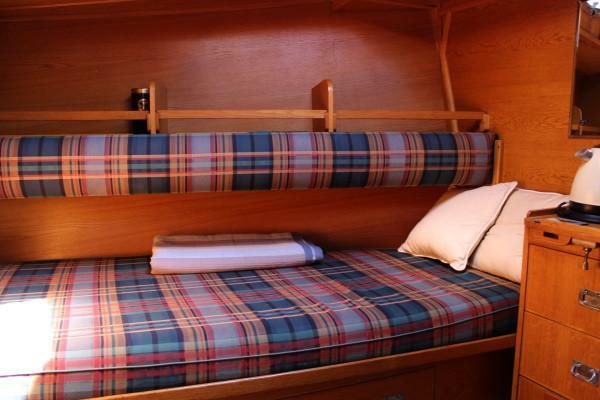 Blinds to wheelhouse windows, carpets to cabins. 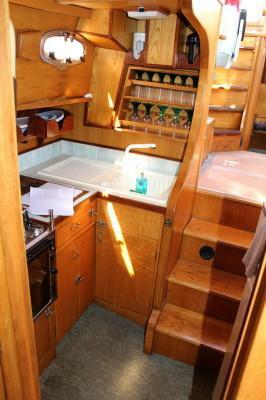 Hot and cold pressurised water throughout. 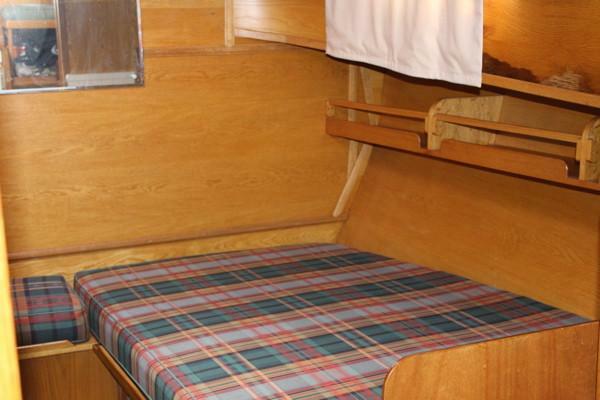 Sliding/opening windows to wheelhouse sides & rear. 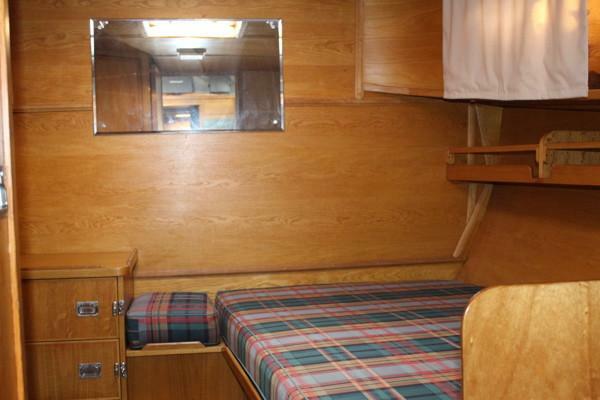 Forward cabin – Two large single berths, hanging locker, small central bureau, mirror. 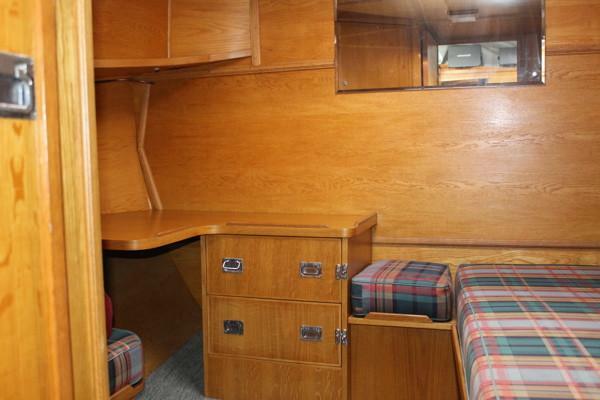 Could be used as a lounge/dining room with removable central table. 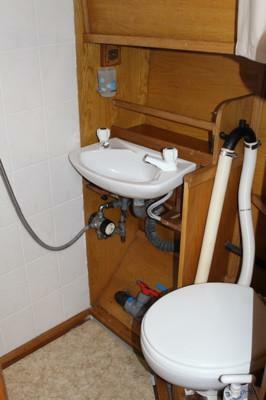 Forward heads – To port with washbasin, Jabsco toilet piped to holding tank and shower with drain. 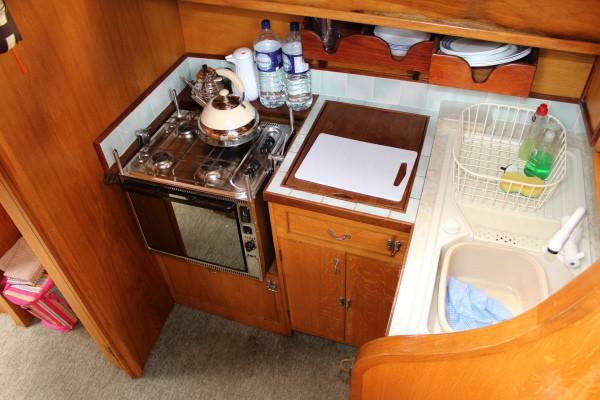 Galley – To starboard, L Shaped with sink & drainer, gimballed Flux gas cooker with 4 burners & oven. 12v tall fridge/freezer. Sharp 240v combined microwave, oven & grill. 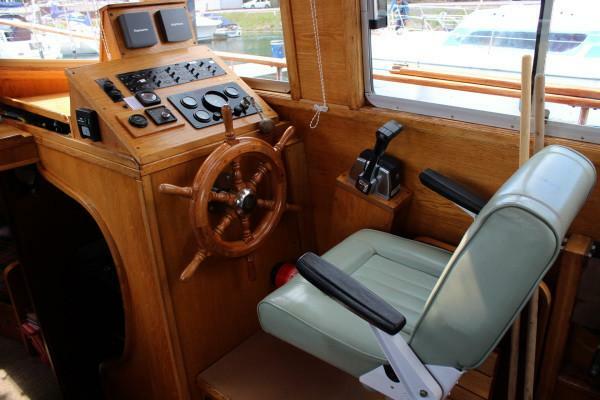 Wheelhouse – Light and airy with internal helm position to starboard – adjustable helm seat, steering, switch panel and instrumentation. 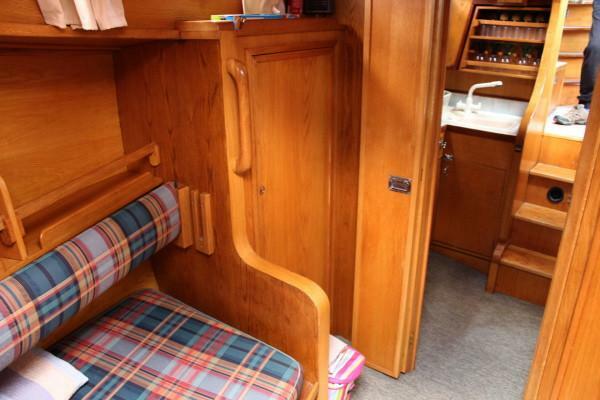 L-shaped seating to port with storage under. 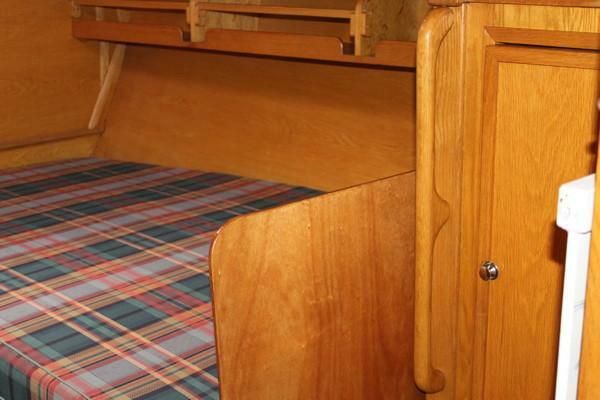 Access to engine room beneath wheelhouse floor. 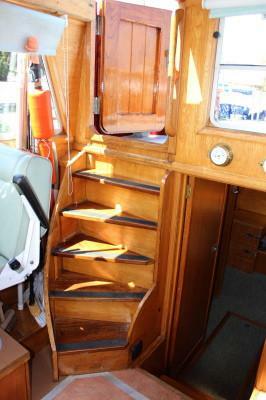 Curved steps to aft deck. 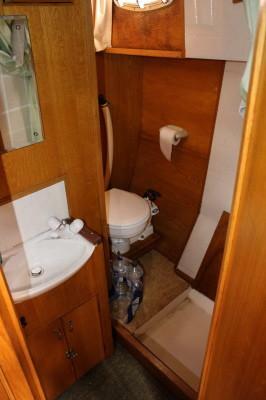 Aft heads – En-suite to starboard with sea toilet, wash basin and shower. 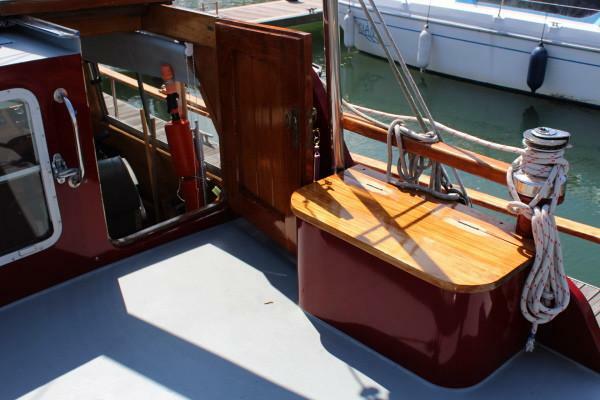 Safe & secure deck arrangement with raised aft deck/cockpit, wheelhouse, wide side decks and good forward deck. 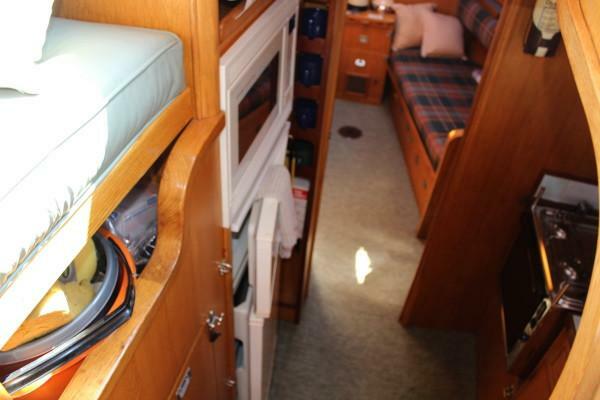 Aft deck gas and Lazarette lockers with access to emergency steering. Stern mounted bathing ladder with extension. 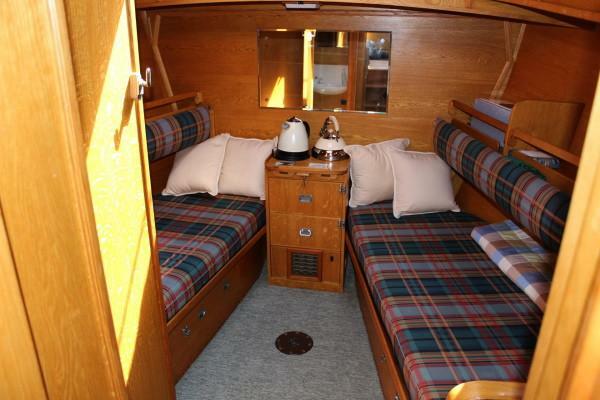 “Gelderloos” is a solidly built cruising yacht/motor sailer. 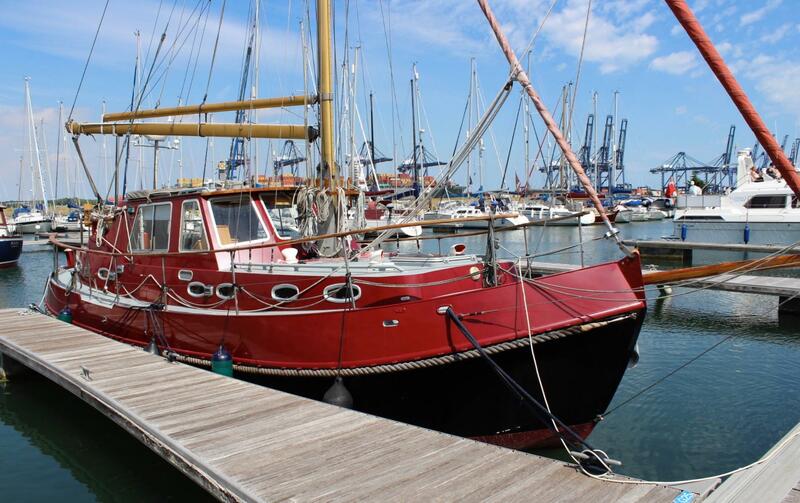 Her shallow draft and lowering rig is ideal for exploring estuaries and giving access to inland waterways whilst being perfectly capable at sea. 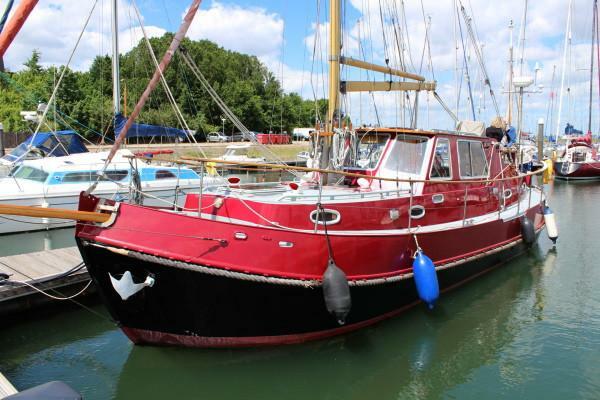 She is well equipped for long term cruising and has a nice spacious, comfortable feel about her.